Rotating pipe cleaning nozzle 64154280 https://www.kaercher.com/ae/accessory/rotating-pipe-cleaning-nozzle-64154280.html Pipe cleaning nozzle with four rotating jets and inner thread. Different spray directions. The hose moves freely through the pipe. With R 1/8" connection. Pipe cleaning nozzle with four rotating jets and inner thread. Different spray directions. The hose moves freely through the pipe. With R 1/8" connection. Rotating pipe cleaning nozzle with internal thread. The nozzle has four rotating jets for environmentally-friendly cleaning of blocked drains and pipes. The jets are arranged to allow the nozzle and hose to move freely through the pipe. 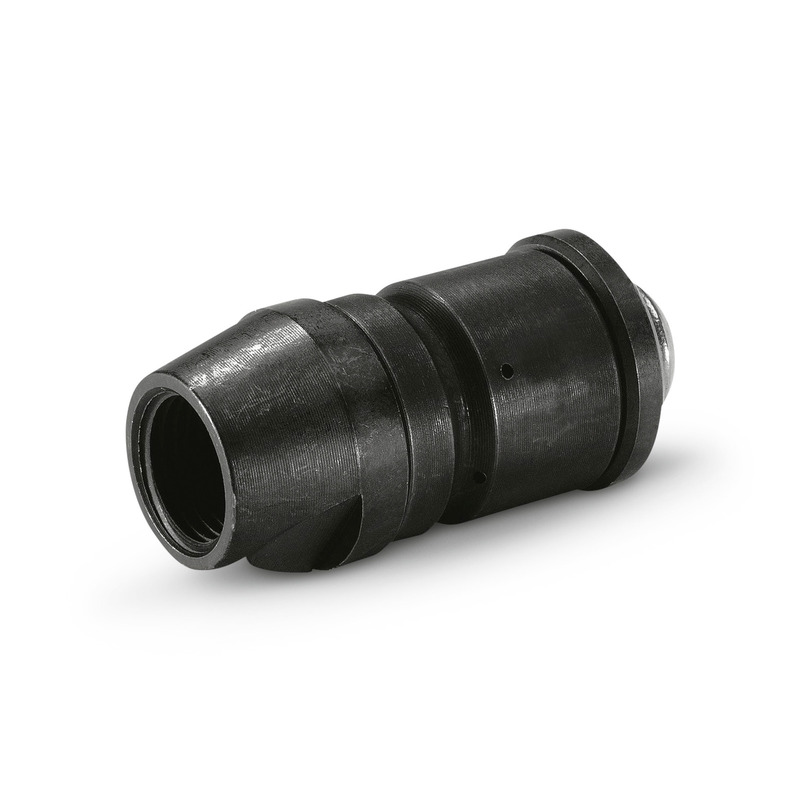 With R 1/8" connection for connecting to pipe cleaning hose. Compatible with pipe cleaning hoses. Ideal handling for pipe cleaning – even confined spaces are manageable.